Very good weekend with friends in front of the computer! 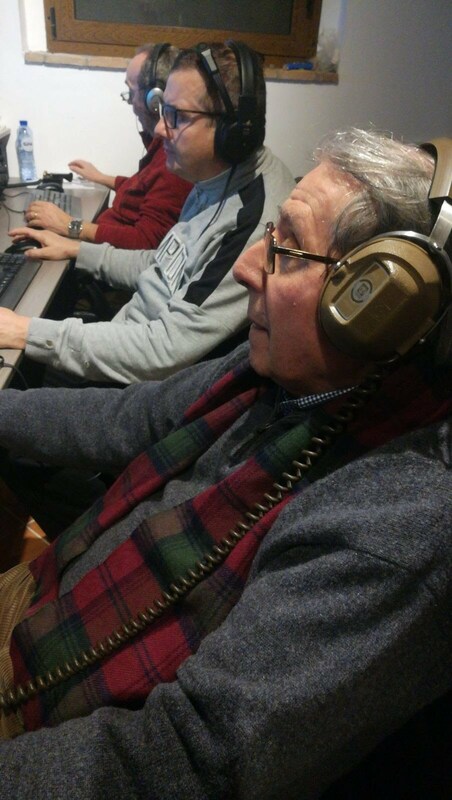 We enjoyed the time with our friends from Genoa with a new entry in the RTTY contesting world, Massimo IU1GNA. 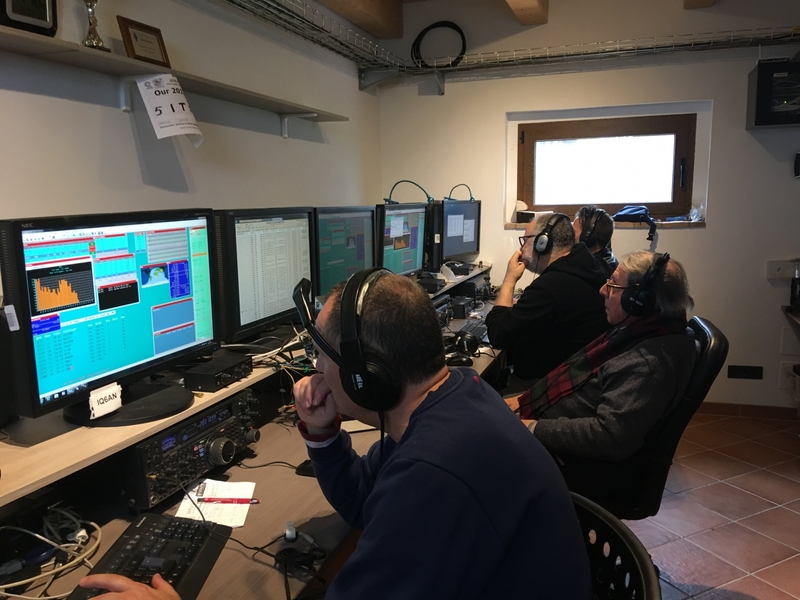 High bands were quite in bad shape, fortunately the low bands were acceptable and made the contest funny also during the night. Unfortunately we did some issue during the contest, some amplifiers died during the first day. We managed to repair one of them but some qso were lost. 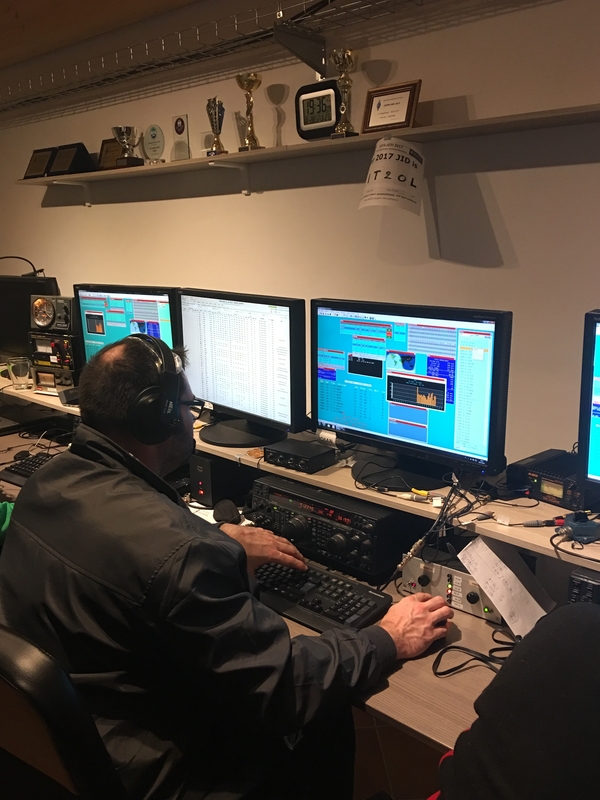 This contest is the official test of gears for the upcoming WW SSB and CW. As we usually say: “If something survive in CQ WW RTTY, it will not break in the followings WW”. Congrats to IQ4FC for the usual outstanding score and to IQ9UI for the race! 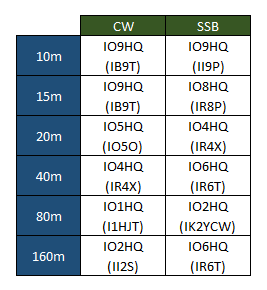 Hope to see you down the log in the CQ WW SSB in one month! 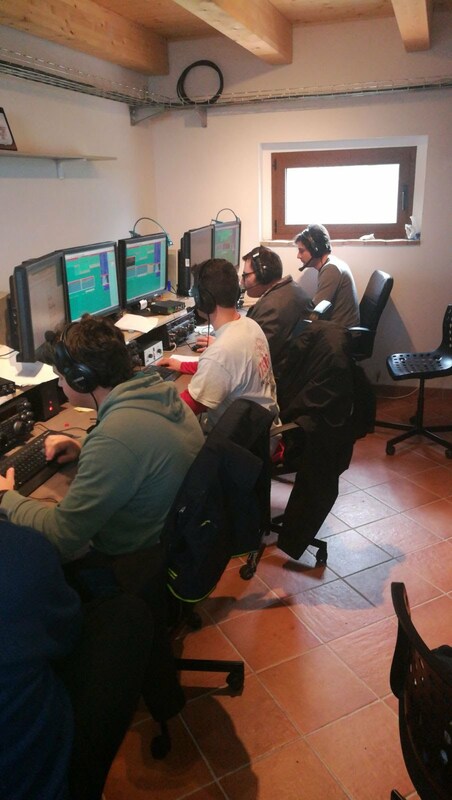 Same as last year, we took part in the Italian HQ team with 40m SSB and 160m SSB station. 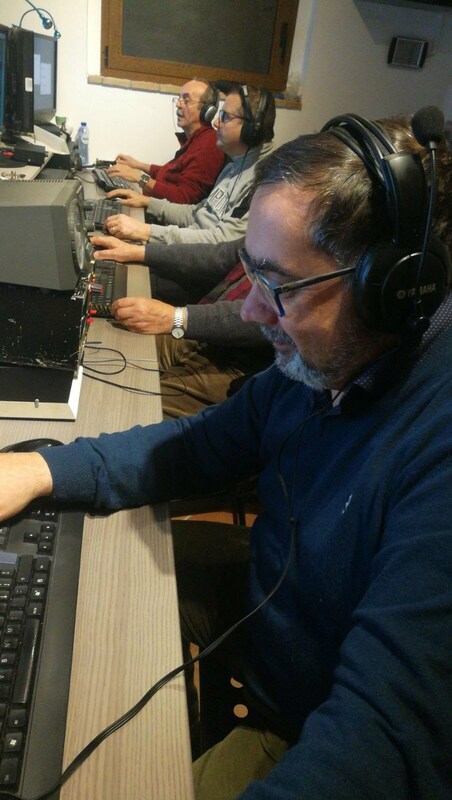 Thanks to Filippo IZ1LBG (ARI HF Contest Manager) to have chosen us also this year! 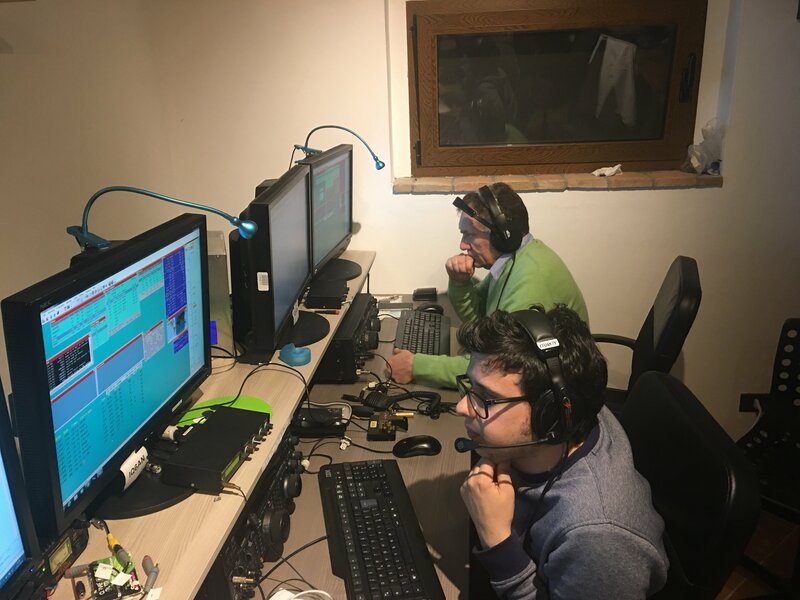 The 160m station was handled by the young team composed by IU4JHC Filippo, IU3KIE Antonino and IU2GGL Matteo. 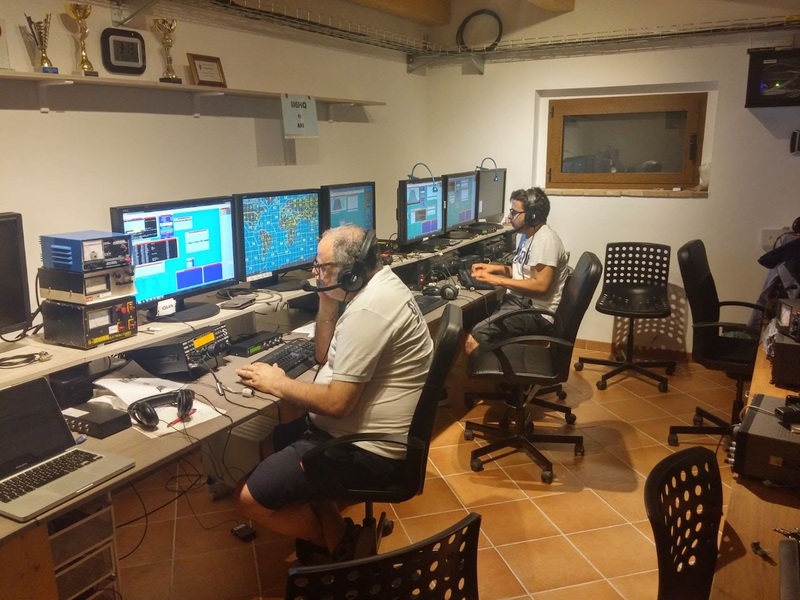 Despite the condition which was terrible on top band in south Europe in this part of the year, they made a very good job working and chasing all station possible. This is the next generation of contesters and they need to be trained. Having an experience in top band is a nice workout for their “career” as contesters. 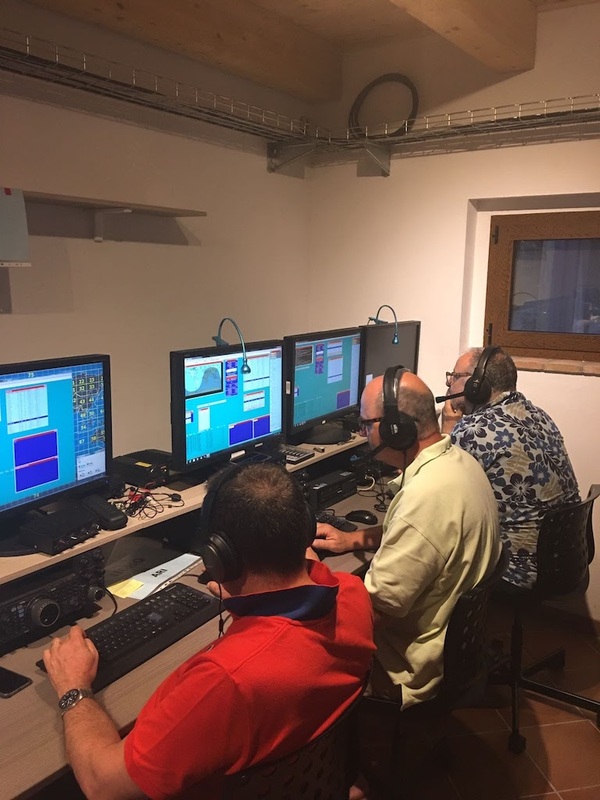 On the other hand, the old timers were busy handling the 40m station. The condition were not excellent and we suffered a bit. Nice was to be called from so many WRTC stations and see on the online scoreboard which were the operators! We are happy that the only Italian team made a very good score! 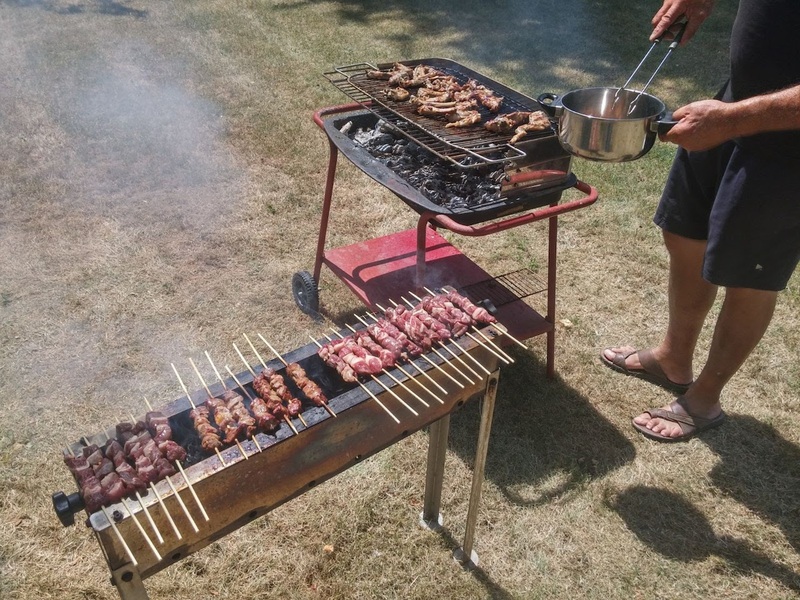 Last but not he least we did another barbecue with the vivid memory of the one from last year, so we wanted to repeat! 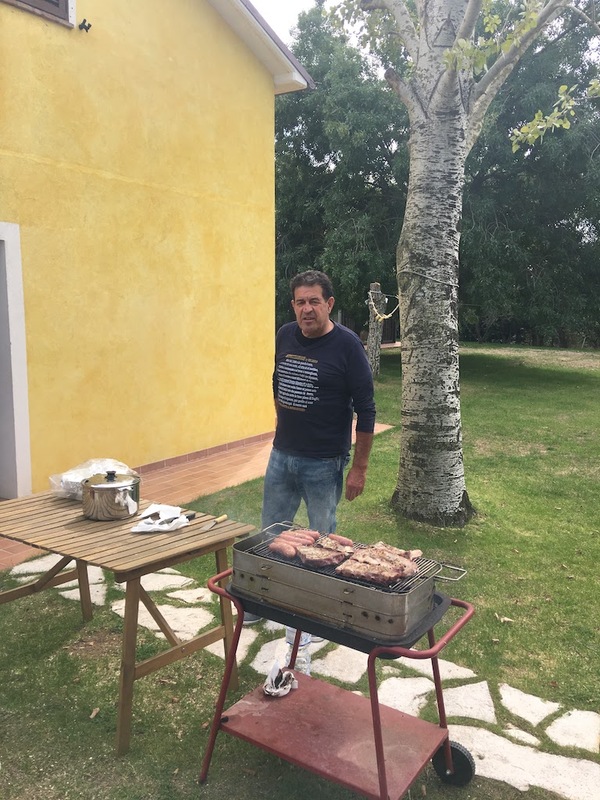 Below some photos of the operators immediately after the contest tasting the good food prepared by Franco IU6KKW! Hope to see you next year in the Italian HQ log! 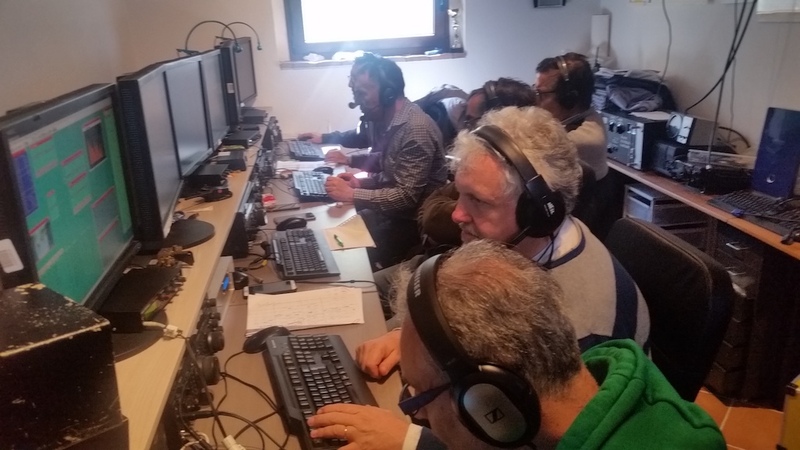 Once again we took part in WPX SSB as M2. This time in a more serious manner. 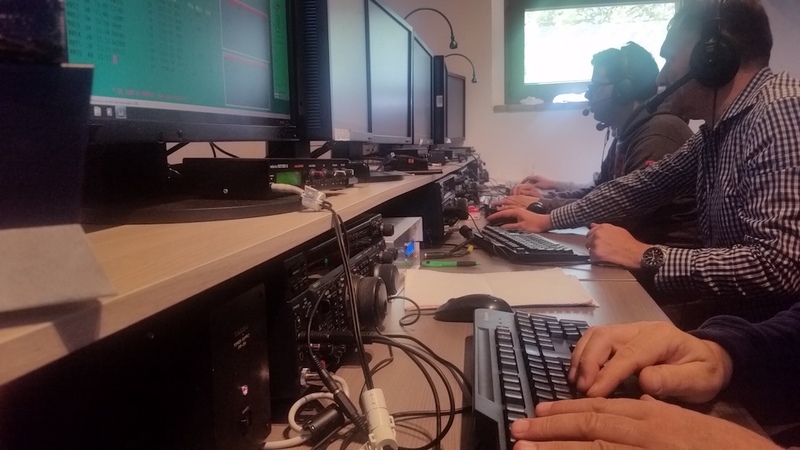 Last year we tested for the first time the station in M2 category and introduced some new operators to contesting. 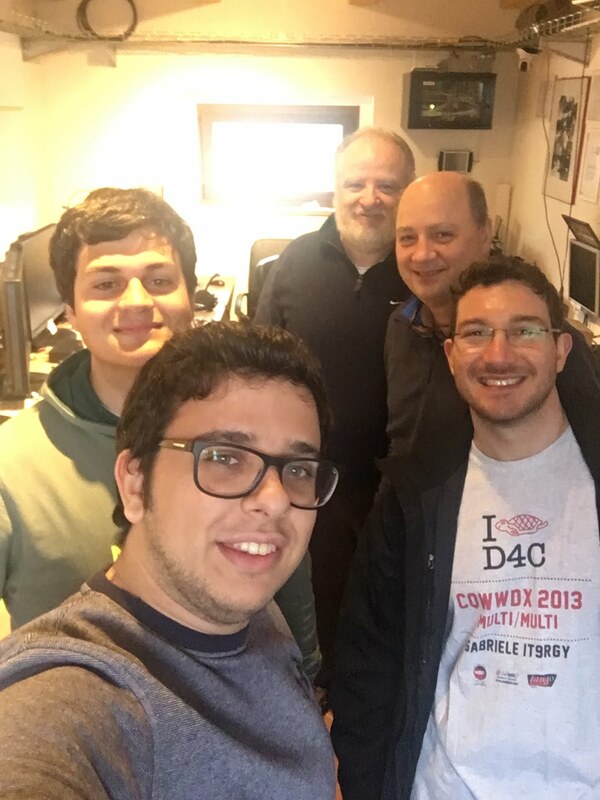 By the way we had a lot of problems during the contest: Saturday morning during sunrise a black out forced us to stop 30 minutes (first blackout in 4 years during a contest! ), then another 4el for 20m broken, and the 20m amp too (rapidly repaired by Franco IU6KKW – ex IK6RYU). We tested for the first time 2 phased verticals on 80m directed to NW without the possibility to switch to broadside. And since we used only one beverage to NW, we missed some eastern Europe and Asia stations. The system, anyway, is clearly better than using a single GP and we are looking to improve it for the next contests. 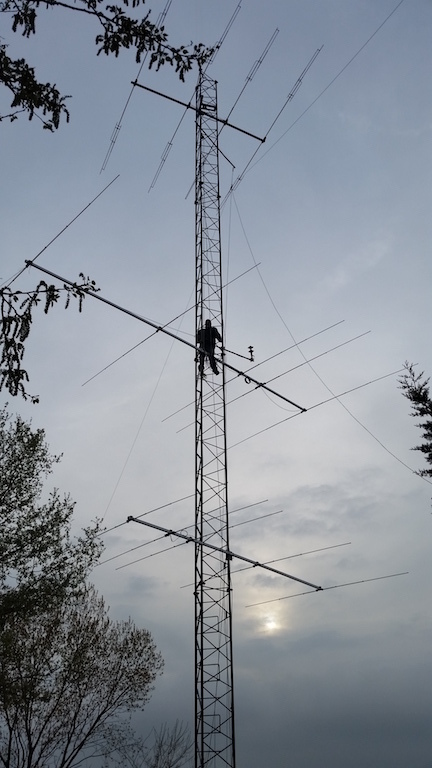 The 40m system worked well like last year. We also increased a little bit our qso number on this band. 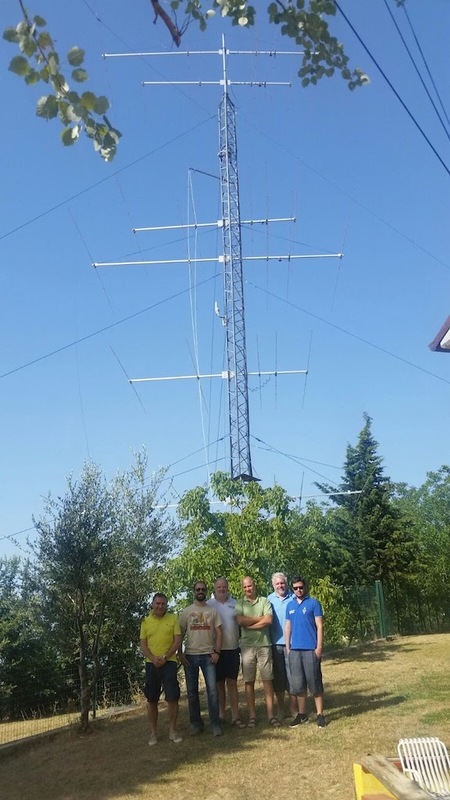 Last year i mentioned some presumable problems on our 20m antenna system. One year later i can assert that the system is completely wrong. 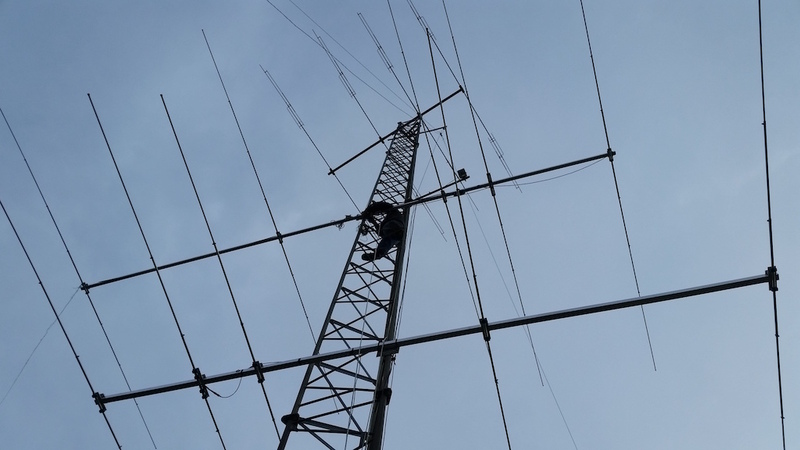 But we are already working on it (new tower is coming) and hope to be ready for cq ww contest season. 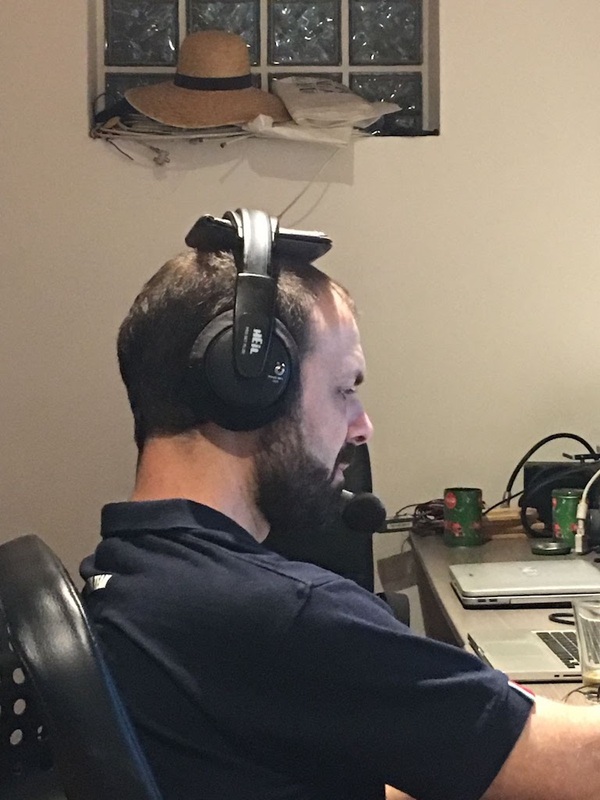 The rest of the setup worked smoothly except for the inband which can get better a lot. 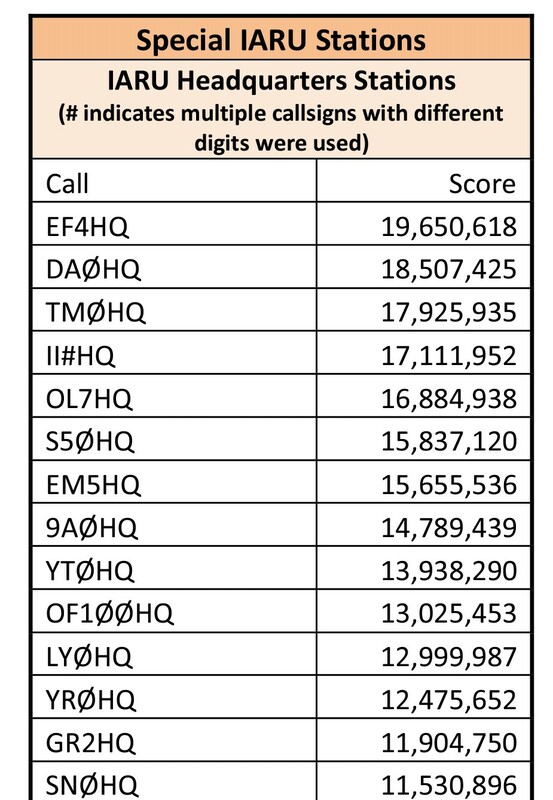 We improved our score of 1M from the last year but at least other 2M could be easily added/reached. We want as usual to congrats OM7M for the score, and also LZ5R. 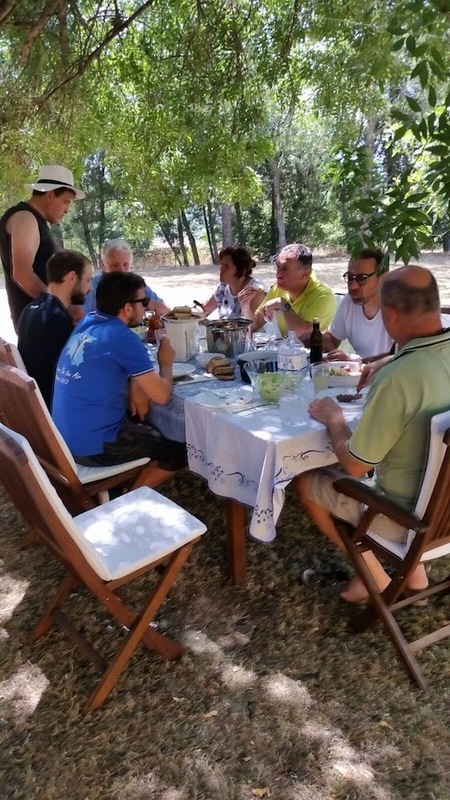 After all it was a nice weekend with friends and good food brought by Sal IK8UND, Genny IZ8TDP, Frank IZ8GCE and Patrizio. Hope you guys will be back for next adventures! Hope to see you in the next contests. 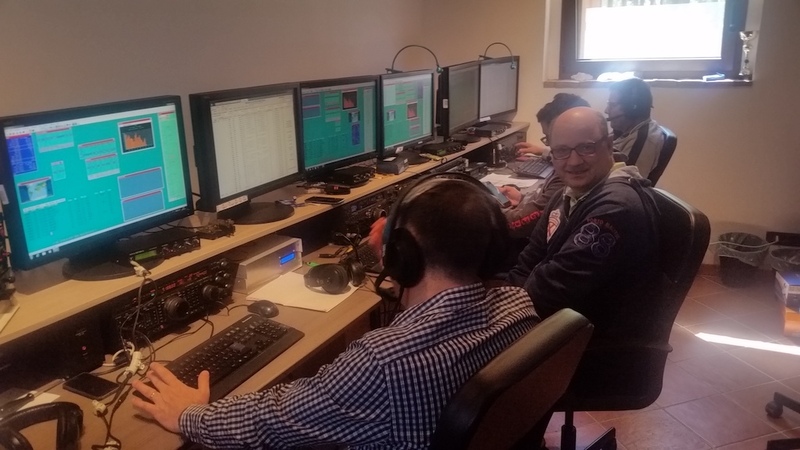 This was the second time we took part to Russian DX Contest and this year we wanted to try M2 category. 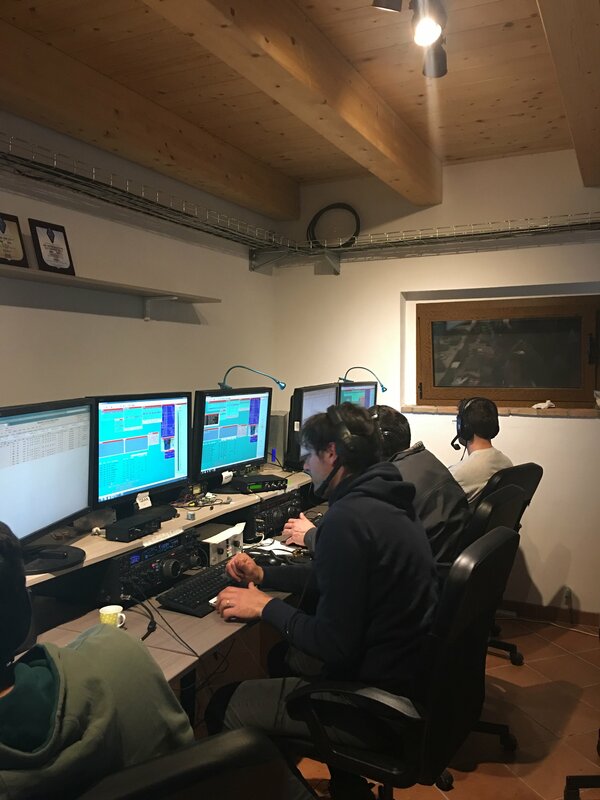 For this event some young friends joined us: Mike IZ1YPF, who is only 22 and rules in CW; Gabry IT9RGY, the Swiss army knife of the team; Genny IZ8TDP, the most tireless operator; Frank IZ8GCE, “the scientist” (” ‘o scienziat“) and Sal IK8UND, the strategist. 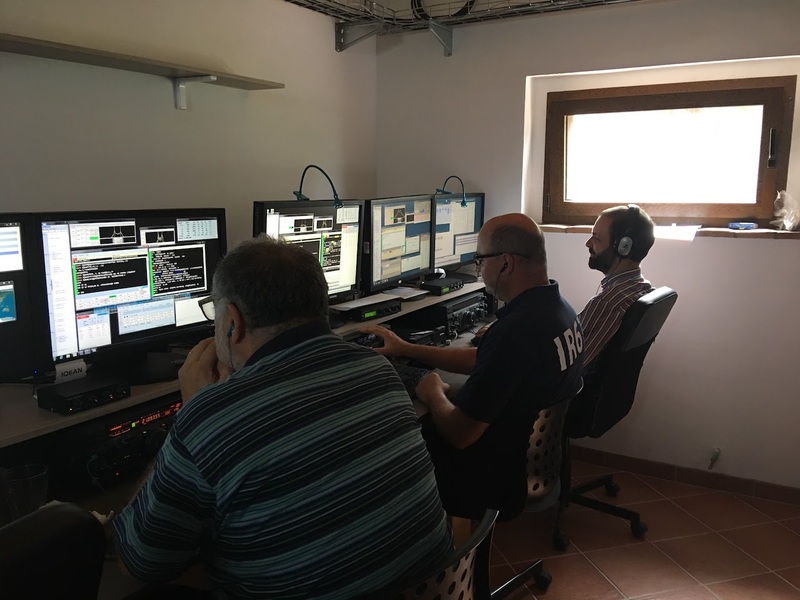 Everything worked well, except for the 20m system which results omnidirectional (we are working to rebuild it, stay tuned for more info). We lost a lot of qsos on 80m because of the lack of a NE beverage RX antenna. On 160m we used only an inverted V dipole so we lost other precious multipliers. 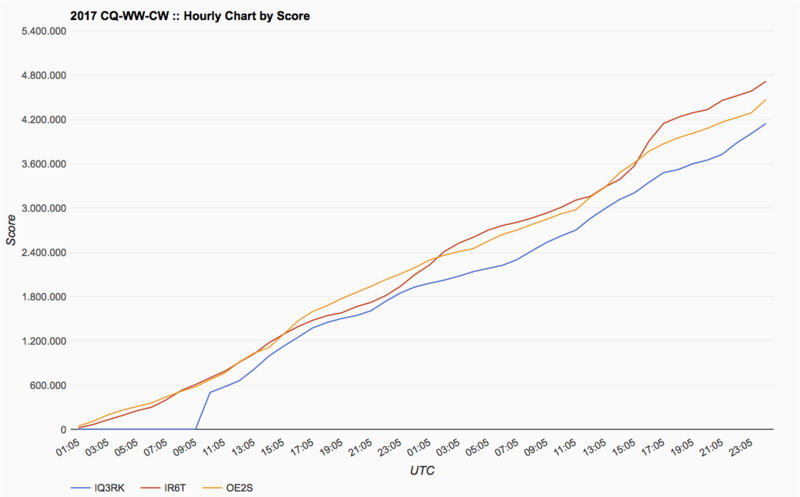 In addition CW ops were only two, in a contest that is almost totally CW. I hope more operators will join this mode in the next years. In addition we are always looking for new foreign operators that want to join us. 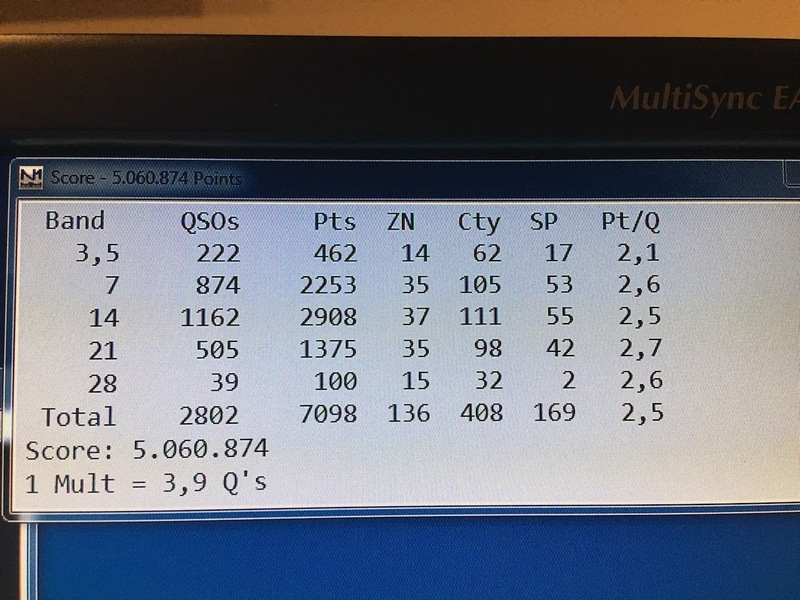 Congratulations to 9A7A and LZ9W for the outstanding result, really another planet! 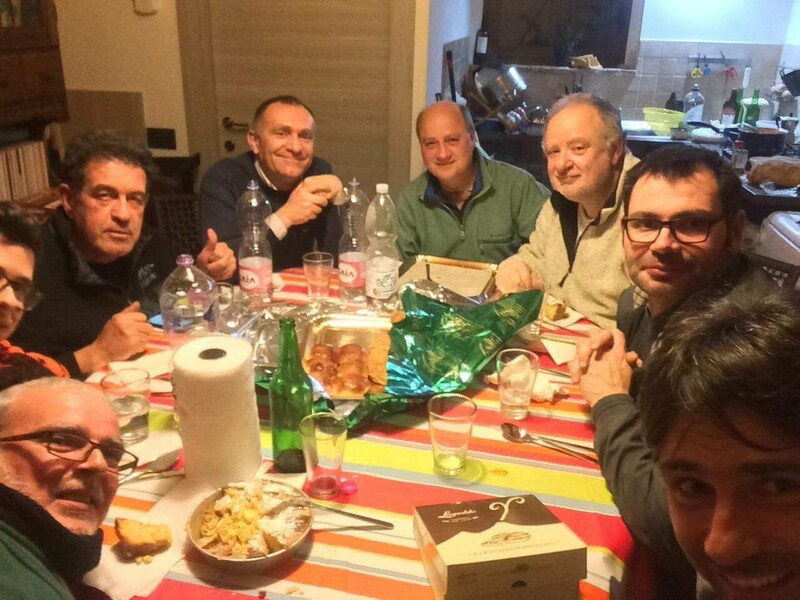 Despite our result, we had a very nice weekend with a lot of tasty food, as usual brought by our Campania friends. It was a pleasure to see so many young contesters in a single team and hope they’ll join us more in future. Always hope to see you in the log of the next contests! 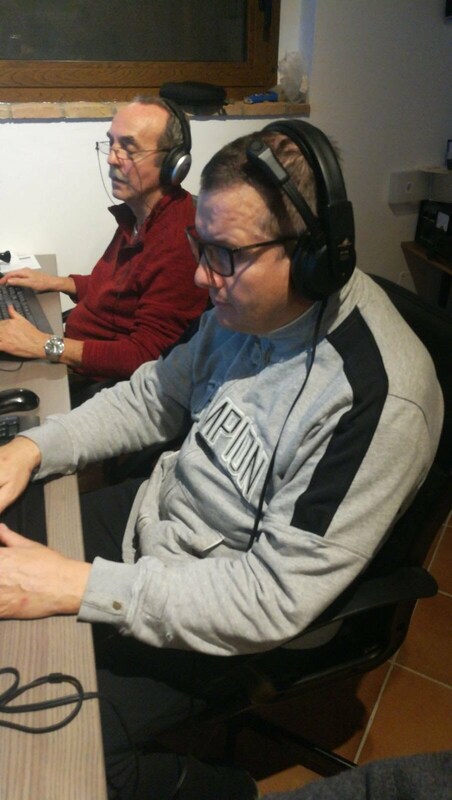 After the two good resulting CQ WW CW in low power from IR6T, and due to the lack of enough operators for this contest, Andrea IK6VXO took part as SOAB LP. In low power everything worked well for the whole weekend. Good low band propagation with nice opening towards north America. 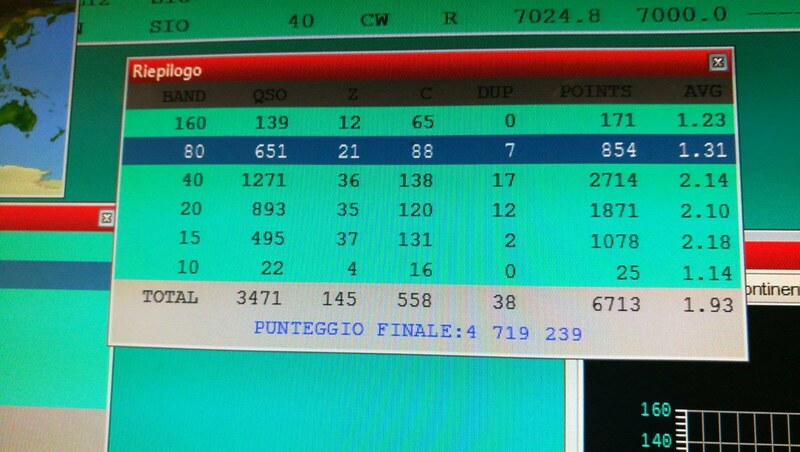 Good number of multipliers made the difference this time, to surpass YV1KK with more qso! 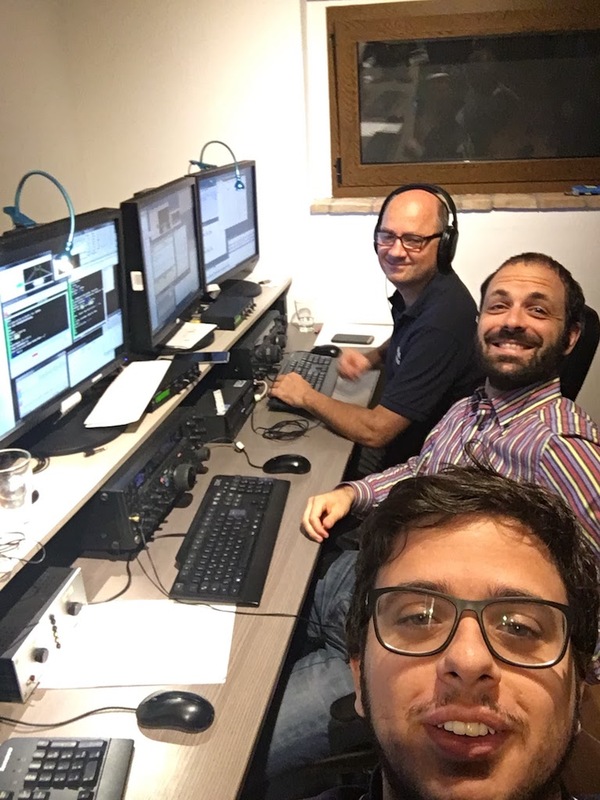 Shout out to Gabry IT9RGY/I4 from IR4X, very nice race! One last thing, remember to put ITALIAN CONTEST CLUB when send the log to the committee! 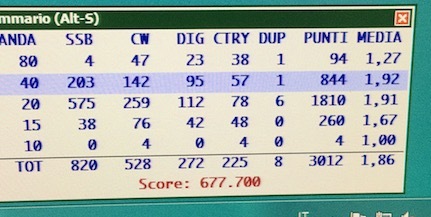 It will help the “club” to win the race between clubs and usually in WPX contests we made a decent score! Why not push a little more!!? 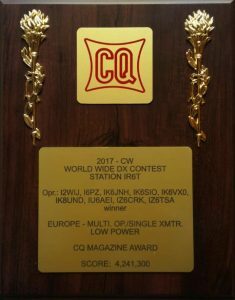 Second experience in the CQ WW CW for IR6T in Multi-Single Low power category. 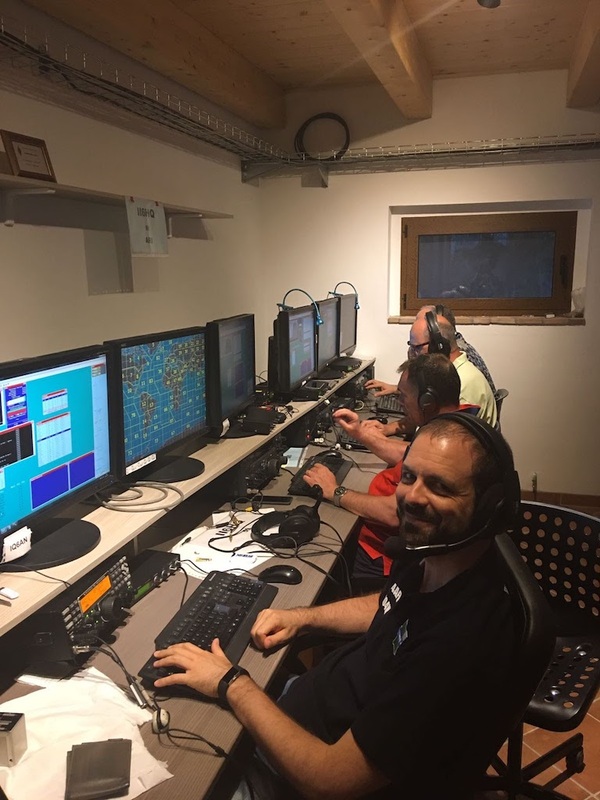 This year with the fabulous help of Bob I2WIJ, who -moreover- took part in the 2010 WRTC in Moscow, and one new operator in the team Francesco IK6SIO. Everything worked well for almost the entire weekend except for a small issue which slowed us down Sunday evening. All the operators have done a very good job and have been focused for the whole contest. 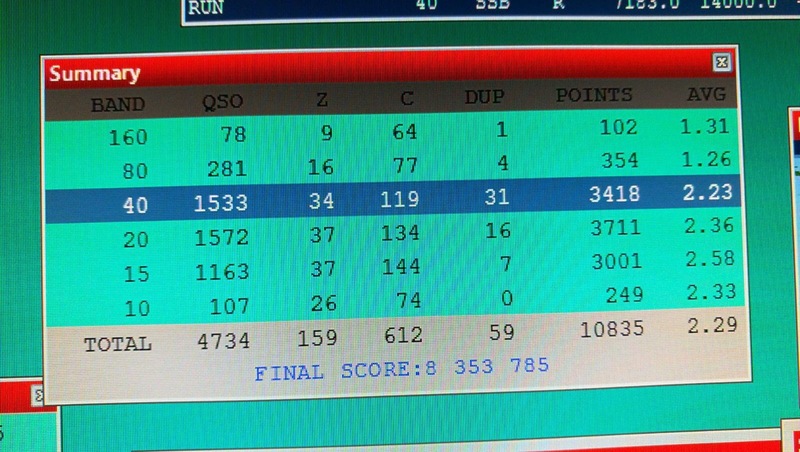 Real time scoreboard (cqcontest.net) helped to achieve the right concentration and have fun after all. Congratulation to OE2S and IQ3RK for the race! 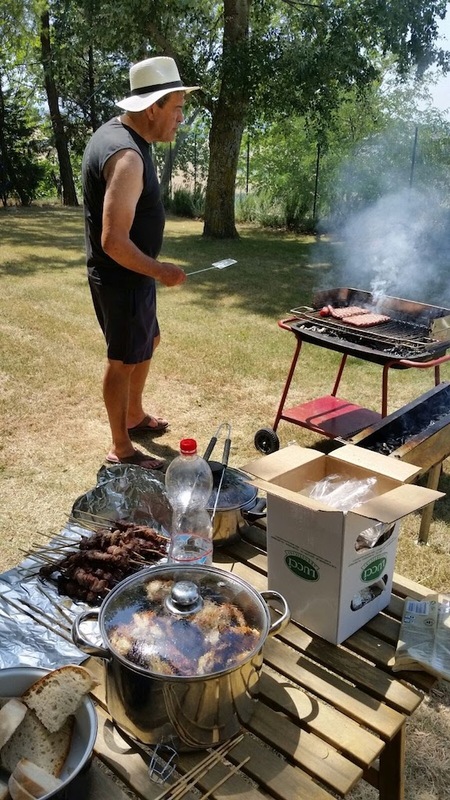 Thanks too for the good food to IK6RYU with the excellent bbq on Friday dinner and to IK8UND for his usual welcome “Mozzarella di Bufala”. 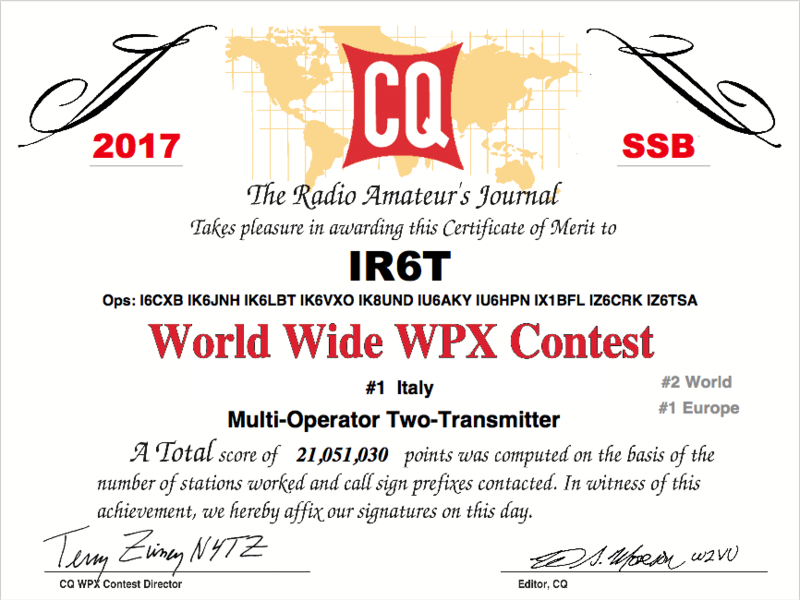 Hope to hear you next year, as usual starting from the WPX contests. 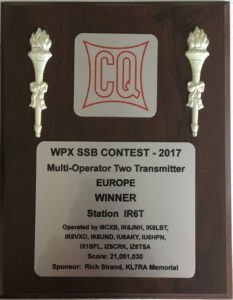 At the Italian Contest University we received directly from John K1AR (director of CQ WW) the plaque for our Europe win. Another first time experience at the new station in this contest and category. 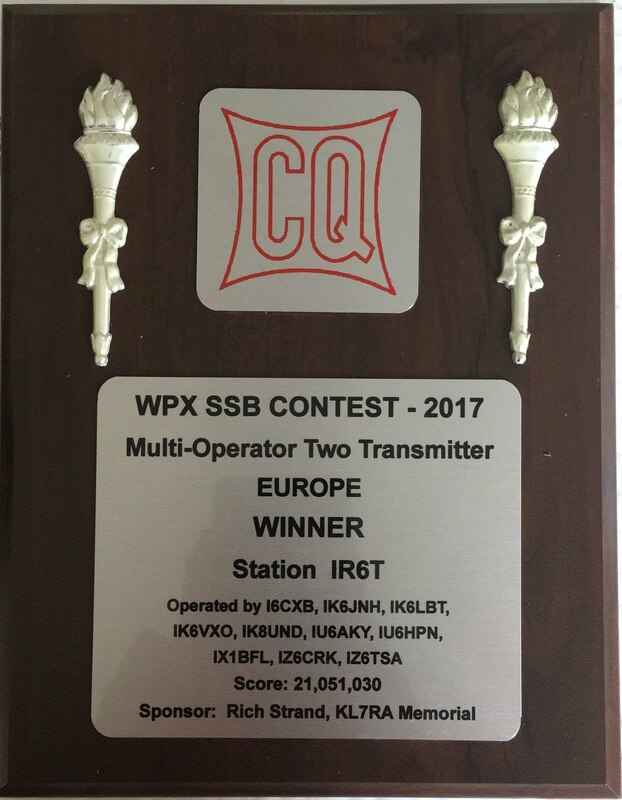 It was almost a test to see how the station performs in CQ WW Multi Single. Almost everything worked well, except a 20m antenna that generated RFI on 15m and 10m. We already fixed everything! Bands were quite good, mainly 15m with great pileup with North America stations. It’s a pity we didn’t have a good system on 80m, we could have pushed more qso on low bands. 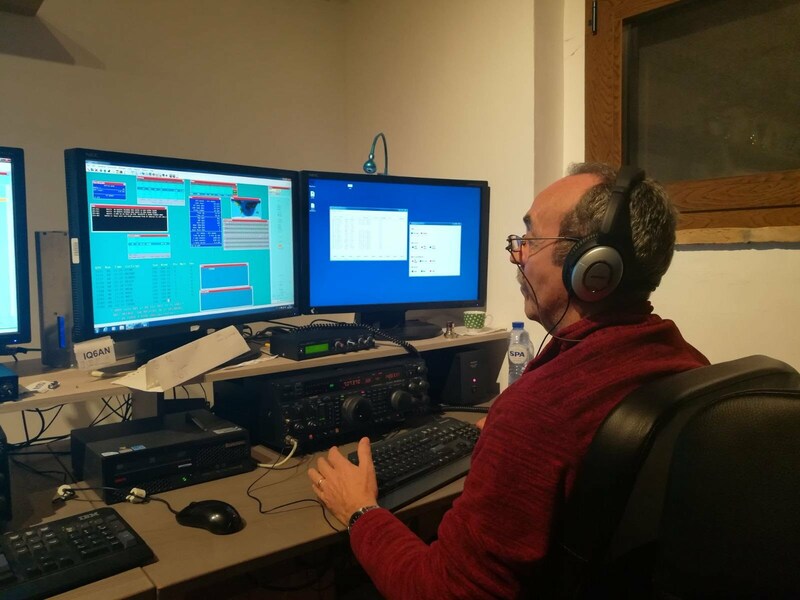 Thanks to Franco IZ8GCE from IR8C who joined us for the first time and pleased us with the original “Babbà” from Naples. Overall very good weekend with a lot of fun and pileups! Congrats to IR4M team for the usual excellent score in Europe. Hope to see you next year, starting from the WPX contests! 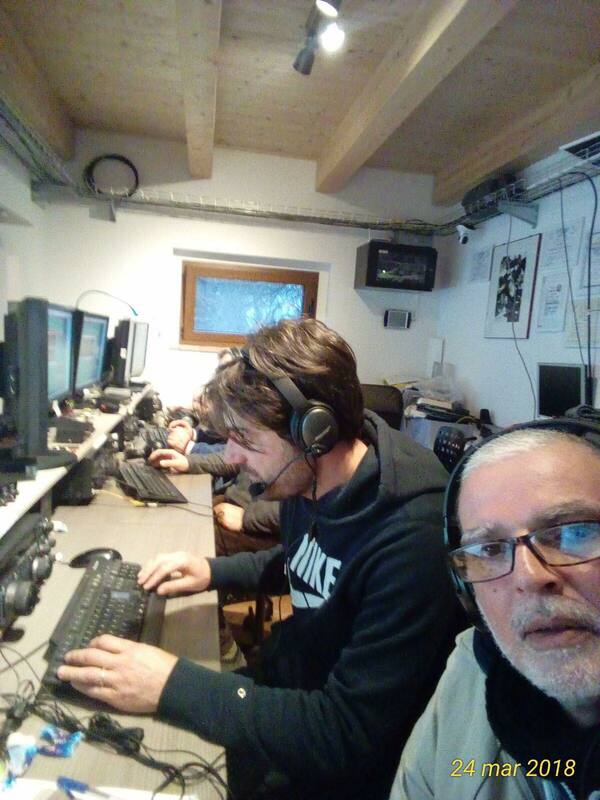 This is our first experience in CQ WW RTTY as Multi Op. A small number of operators (beginners included), but a lot of fun. No big technical problems were spotted during the contest, and after months of work we are finally happy for this achievement even if there are still a lot of parts and features to be added. 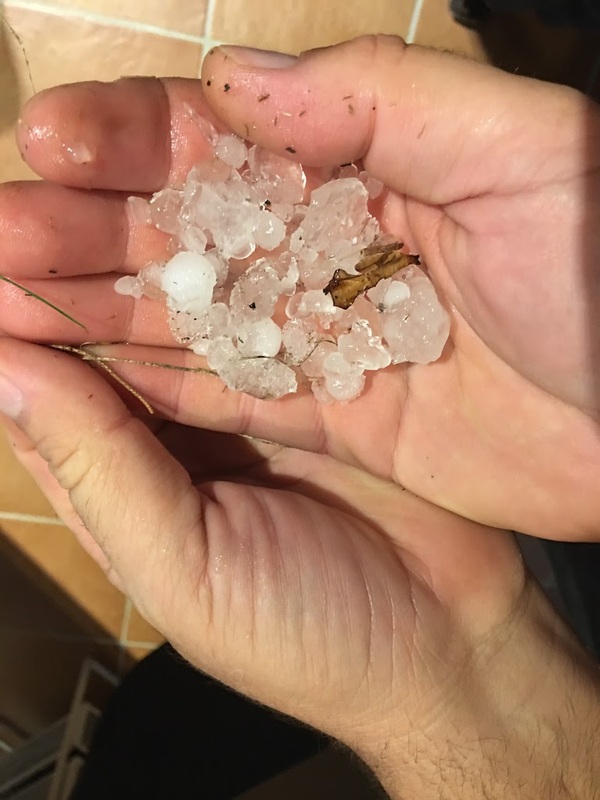 We suffered only a big but short thunderstorm and hailstorm, because of this we had to make a forced pause of almost one hour Sunday afternoon. 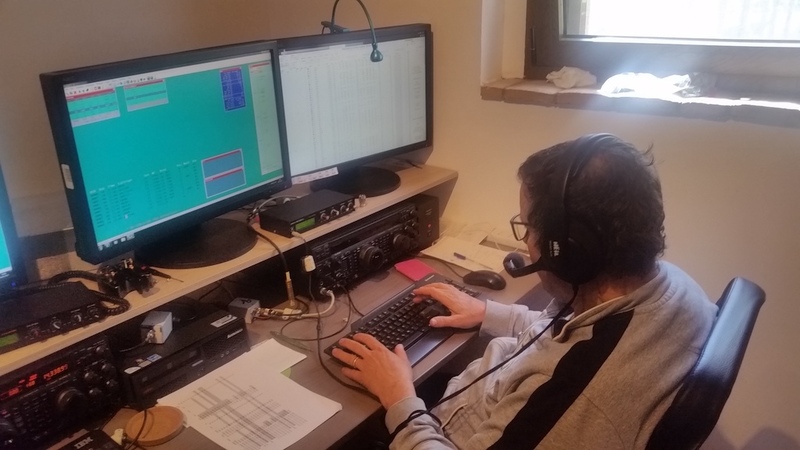 We did not used any inband antenna in this contest and only one operating position for multipliers and no receiving antennas on 80m and 40m. We felt the need of a rotating antenna which will be installed in the near future. Surely with more radios seeking multipliers and inband antenna we could have increased our score a bit more. 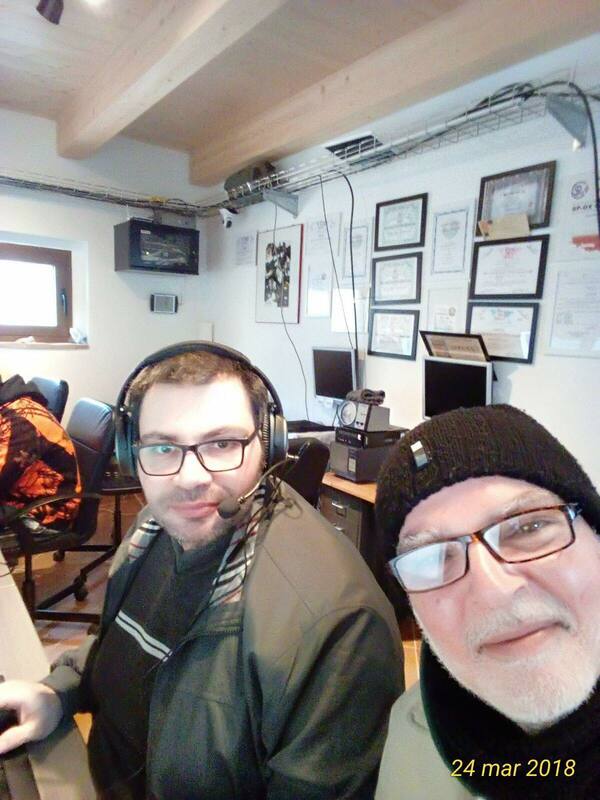 We hope everything is ready for next year, starting from CQ WPX RTTY. Bands were not so bad after all, good openings on 15m and just an hour opening in 10m Sunday at the right time for working both South and North America. 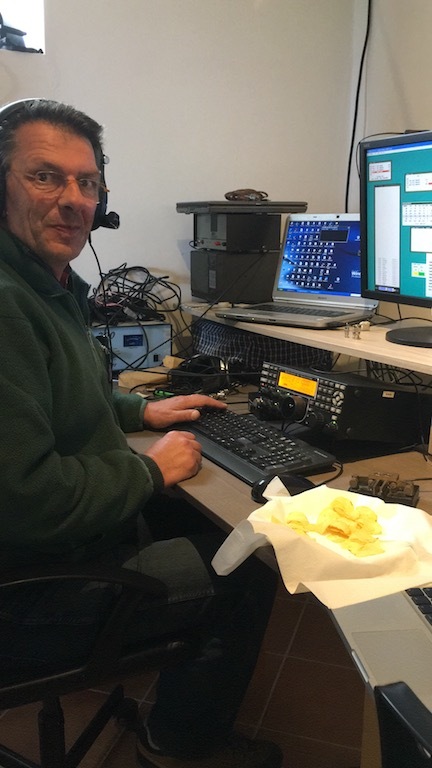 However sometimes mostly on Sunday there were not so much traffic in the main bands (40m and 20m). We had the pleasure to have IZ4AFW Fabio for the second time this year. We had a very good time after all during the contest and tasting the excellent BBQ by IK6RYU Franco and cocktails by IK6JNH Italo. Congrats to I4DZ and EI7M for the great results they made and hope to reduce the gap in the future. 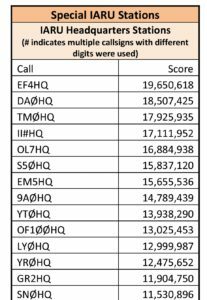 Raw scores are available on cqwwrtty.com. 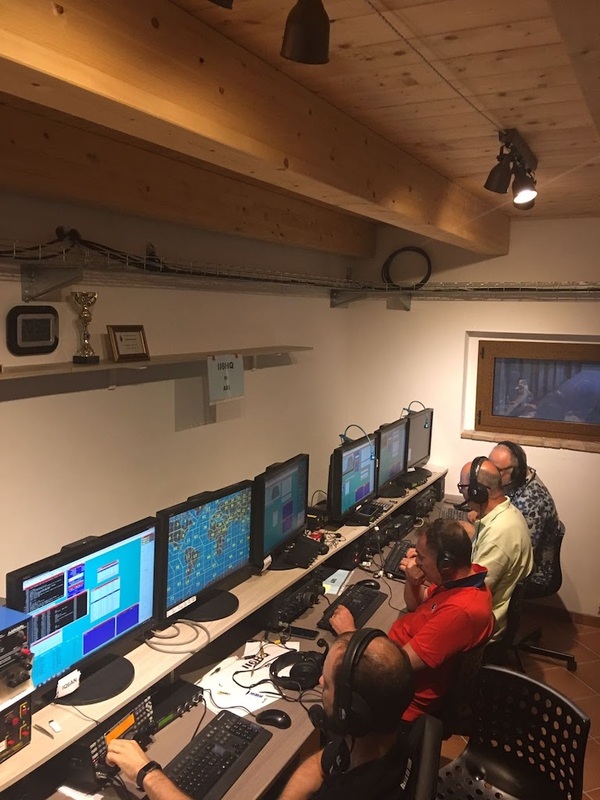 We took part in the IARU HF Championship as part of the ARI HQ team. Our bands/mode were 160SSB and 40SSB. 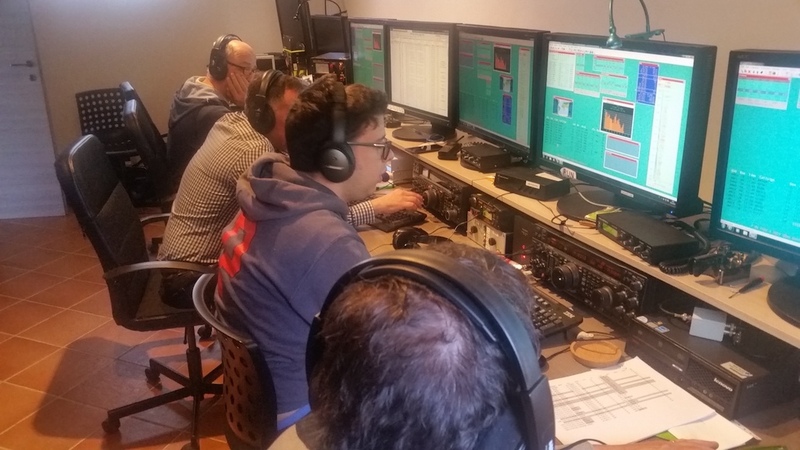 We enjoyed the activuty on 40m with good openings mainly with north america during the night. 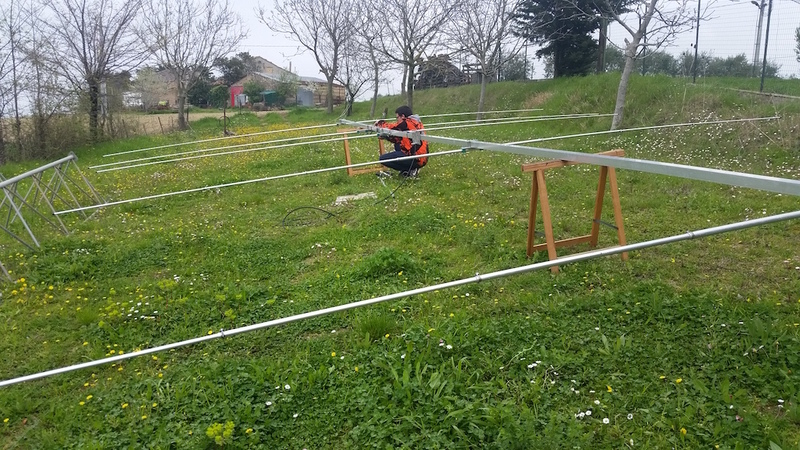 We suffered in 160m because of the noise and with only an inverted L antenna. A good thing to mention is the great BBQ at the end of the contest. 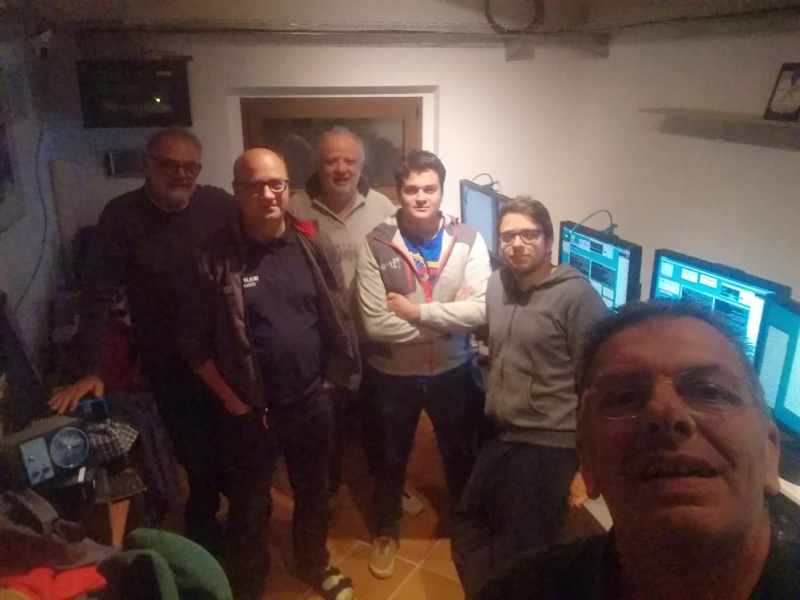 We tasted delicious meat offered by Franco IK6RYU to celebrate our first place in europe in WPX SSB M2, and excellent food products from Campania brought by Sal IK8UND. I don’t know if we will remember this contest but the following lunch for sure! Stay tuned for the full results and story. 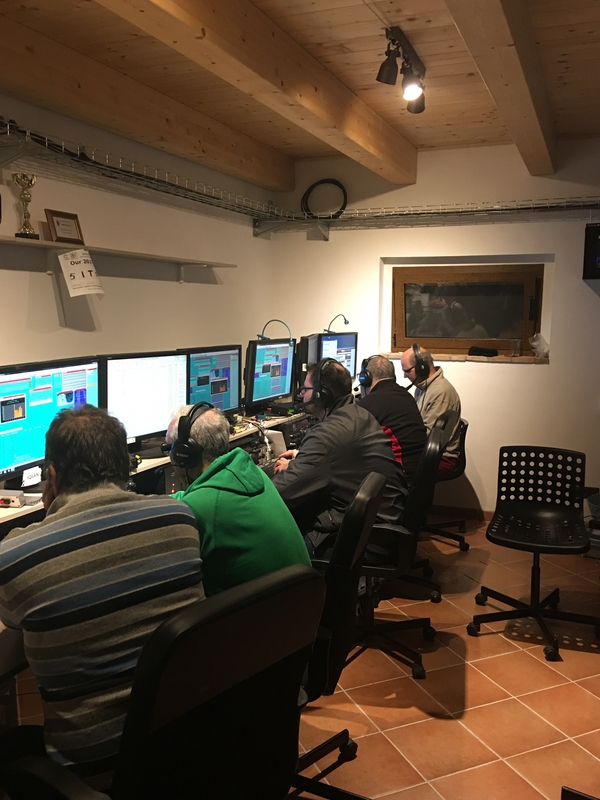 EDIT 18/01/2018: Italian ARI HQ stations IIxHQ resulted in 4th position in IARU HF Championship 2017. 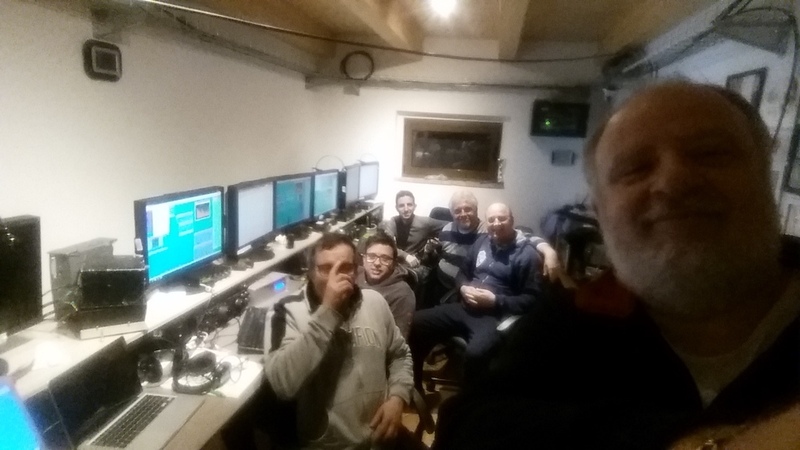 Thanks to all the operators who contacted the Italian team! Siamo ritornati a prendere parte a questo contest dopo 3 anni di stop. In questi anni abbiamo lavorato duro per creare la nuova postazione da cui abbiamo partecipato questa volta. 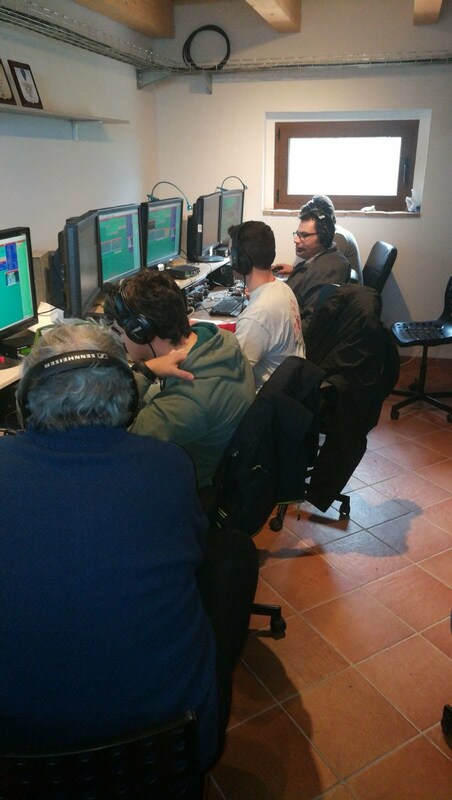 Sebbene ci sia ancora moltissimo lavoro da portare a termine, siamo contenti del risultato ottenuto. Questa volta più delle altre abbiamo avuto problemi al setup, in parte risolti durante il contest. 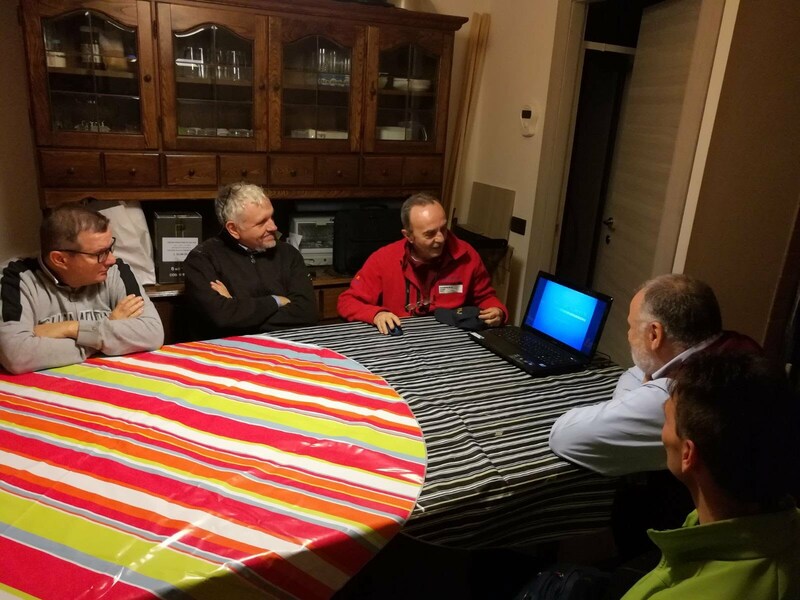 Abituati a questo abbiamo imparato a farne tesoro per i contest successivi. La propagazione, da manuale, è stata pressoché assente in 10m e scarsa in 15m. 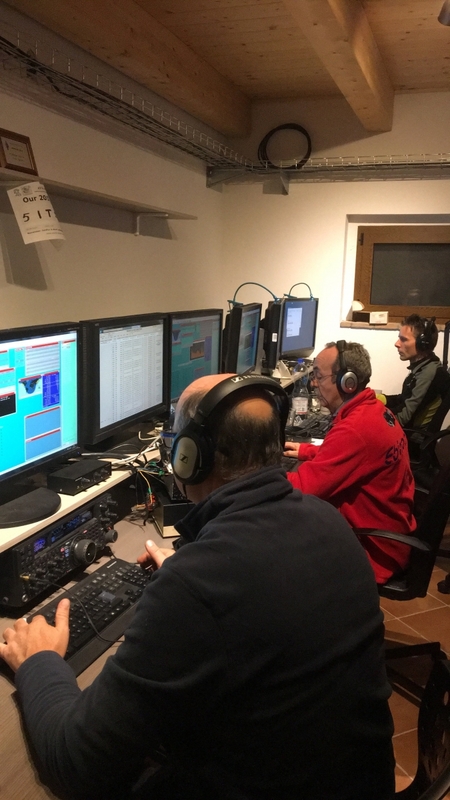 Ottima apertura notturna in 20m con Nord America in cui abbiamo avuto un ottimo rate per un paio d’ore. 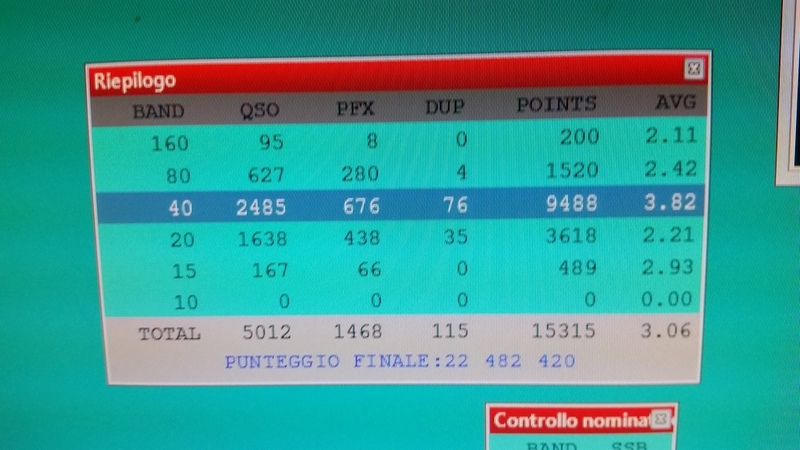 Da segnalare anche buona la partecipazione, soprattutto incrementata quella in rtty! Al solito è stato un ottimo weekend di divertimento e di pura radio. New entry nel team per questo contest di Carlo IK1HJS che ha dato una bella spinta al gruppo e spero ci venga a trovare più spesso. Speriamo di sentirci al contest delle Sezioni in giugno! We planned this contest to introduce some new operators to the wonderful world of contesting. Due to the high number ops available and to have more fun we decided to take part in the Multi Two category. 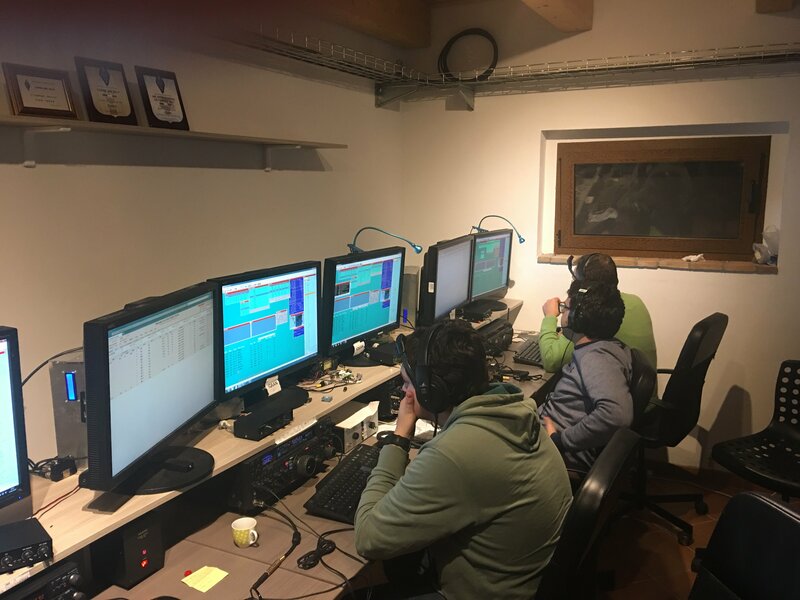 Our main goal was to have fun and teach something to new operators, so we started the contest very relaxed. 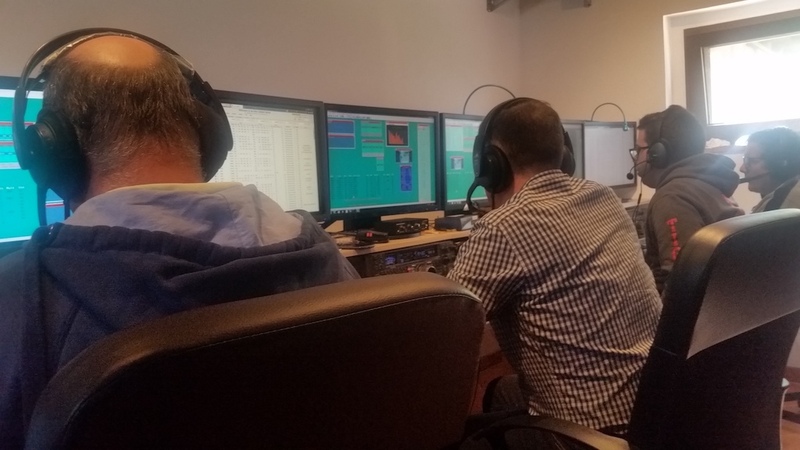 The 40m system worked excellently for almost 48 hours, that was the key of the contest considering that the high bands were apparently dead. 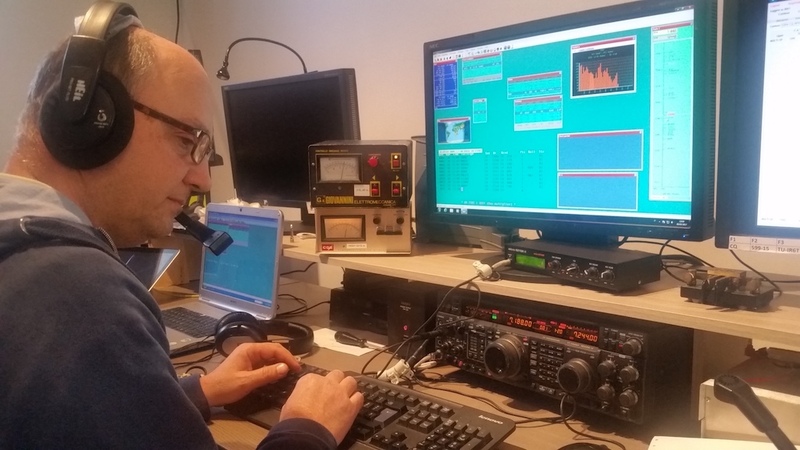 Good opening on Sunday afternoon towards North America with huge signals on 15m, unfortunately only a hundred of station came to contact us. On 80m and 160m we used a full-size vertical and a dipole respectively. 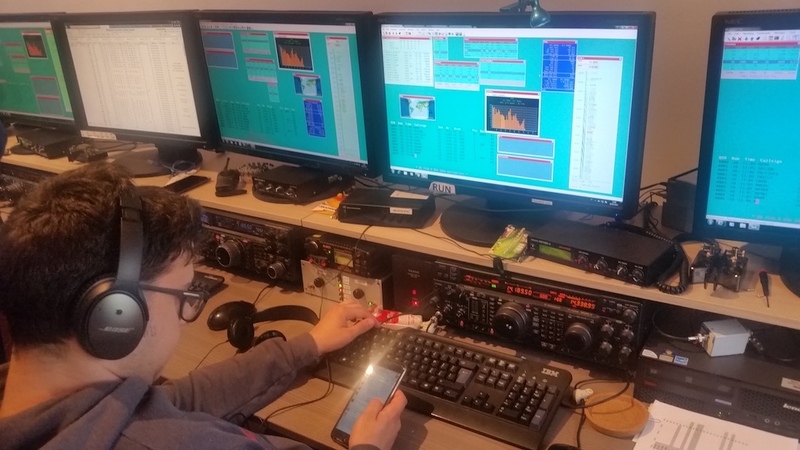 We experienced some problems on 20m to contact europeans, sure we need to check the system and make some improvements to cover higher take off angles. The rest of the setup worked smoothly except for the inband which is still almost deaf. This not helped finding and working mults, by the way the mults resulted in a good number. 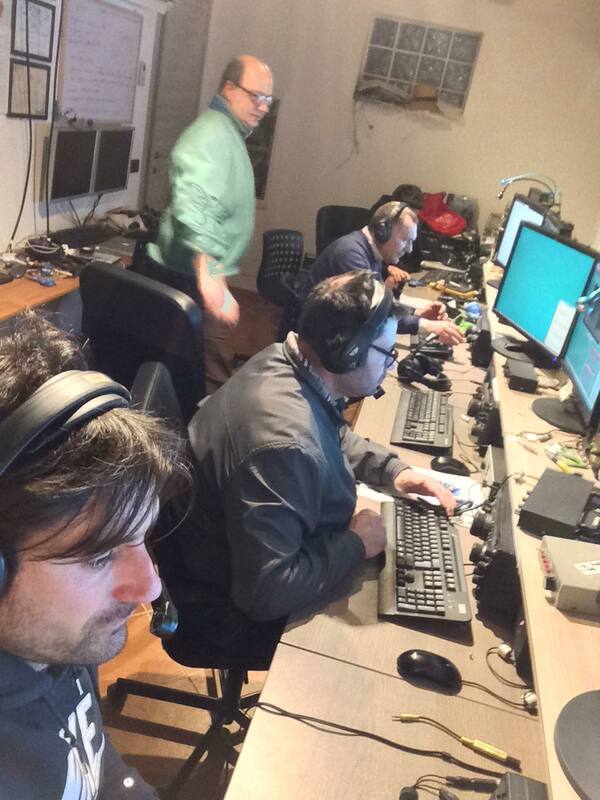 The last hours we checked on cqcontest and tired but well motivated we pushed more the score reaching 22.5M. After all it was a nice weekend with good food brought by Sal IK8UND and good company. The newbie were happy and, at least for this point, we accomplished our mission. Still a lot of work needs to be done and they have to take part in a lot more contests. EDIT (10/01/2018): Today we received the plaque for our 1st place M2 category Europe, sponsored by KL7RA Memorial. Thanks to the sponsor we hang up our first plaque in the new station. 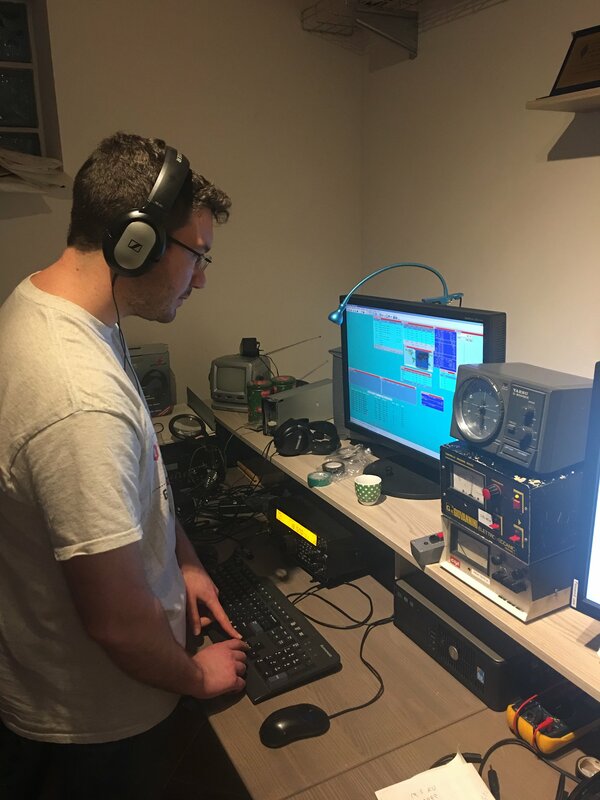 With the very good experience of last year WPX RTTY in mind, when we made a very huge result even if we only had one tribander and wires for 40 and 80 meters, we wanted to test our new antenna setup. 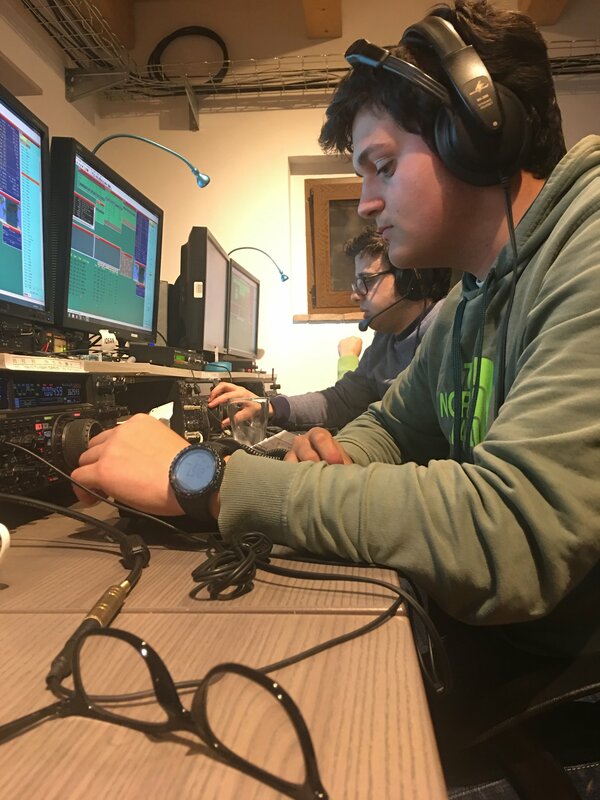 Two antennas were set up the weekend before the contest and even though we made some tests during the week, we had a lot of problems (fortunately fixed) during the contest, which resulted 4 trips to the towers and a lot of fatigue as we were only 2 and half operators. After all that was a test and helped us to understand problems that otherwise we would have faced in next contests. Apart from the big numbers of problem we managed it was a blast, a lot of activity on low bands. Thanks to the new 3el , 40m band was the best one. In our area 15m was very poor compared to the other years and obviously 10m was totally dead. We could improve 20m if the antenna had worked well, but thats it! 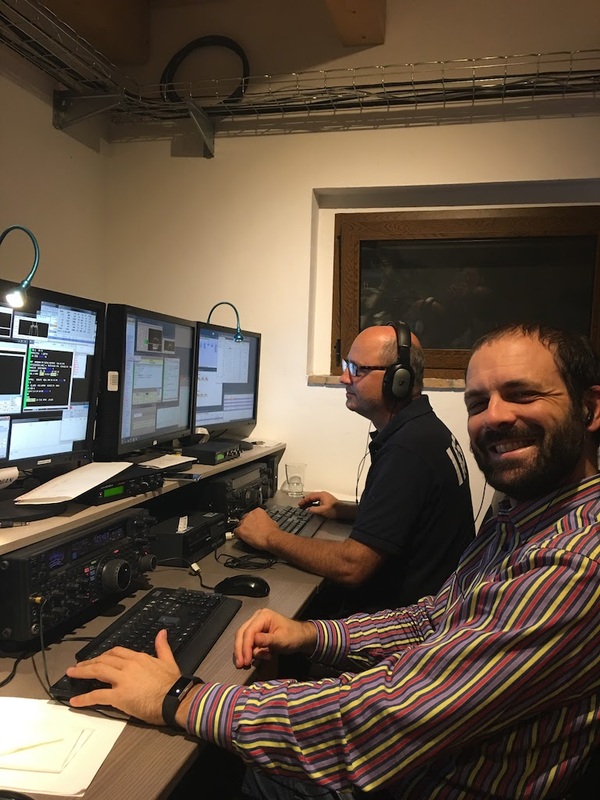 More work has to be done on 80m (and also 160m) and for inband receiving in which we suffered a bit in this occasion. 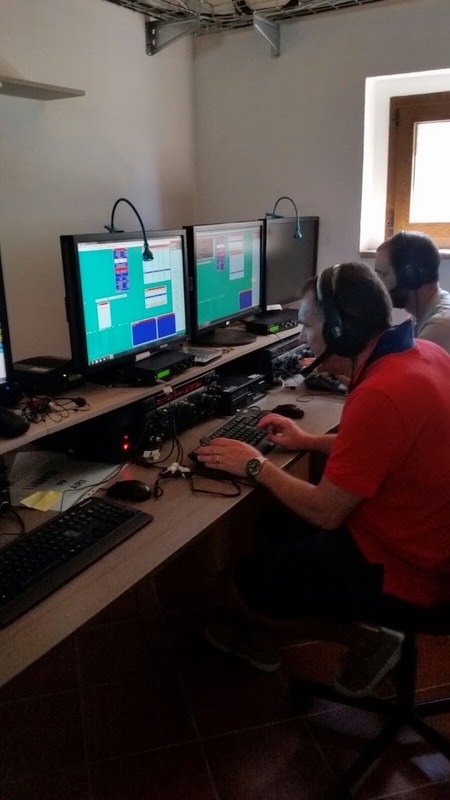 Finally some new operators have been introduced to RTTY contesting and they are I6CXB and IU6HPN. 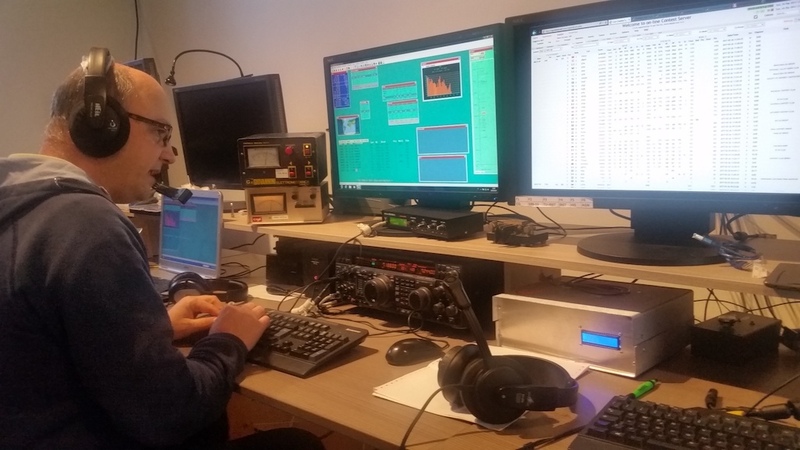 It’s almost more than one year and a half that we are working on the new station; during this time we completed a lot of works, mainly about the building which hosts our radio shack, both indoors and outdoors. 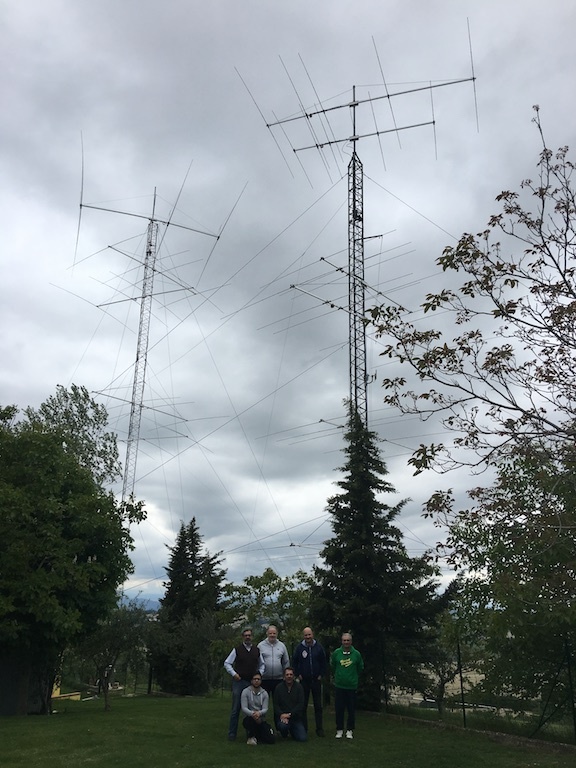 We also raised a new tower, provided by our friends of II9P, which is still nowadays not definitive because it lacks of some sections to be mounted. This tower is temporarily used for testing the antennas. Talking about antennas, we bought recently over 350Kg of aluminium to be converted in antennas. 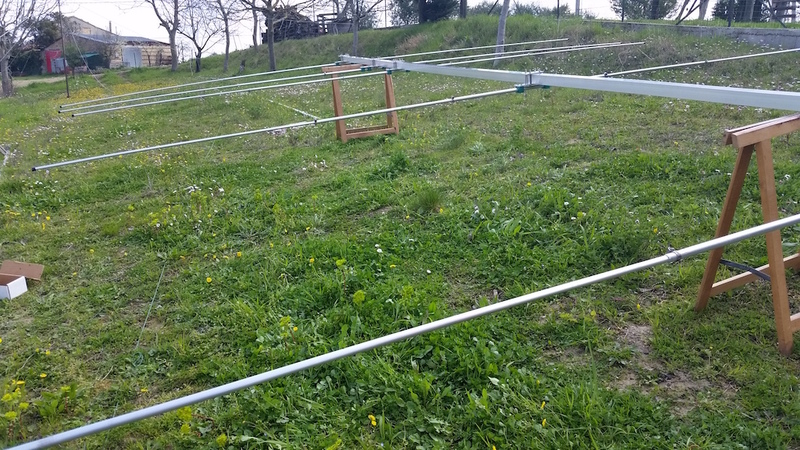 So firstly, we started to build from scratch the 10m and 15m antennas due to their modest dimension. Both are 5 elements OWA designed by YU7EF and perform very well during the first tests. 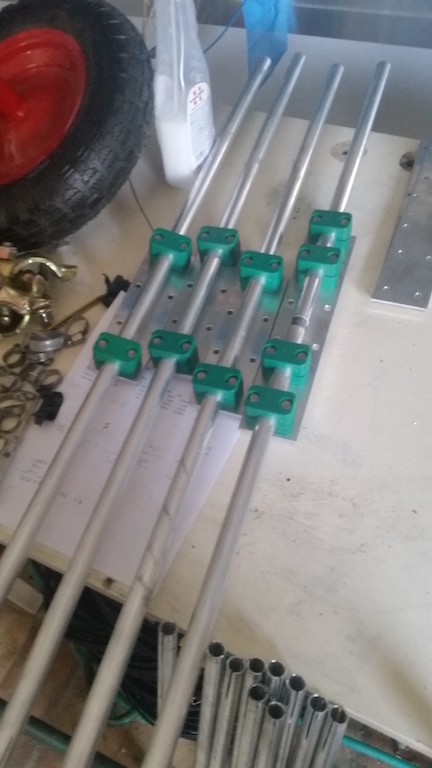 In the near future we are going to work on a complete new tower and make 20m antennas. See you in the next update!